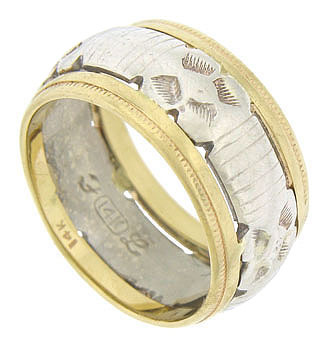 Bold, intricately engraved blossoms and abstract vines stretch across the face of this spectacular Art Nouveau wedding band. 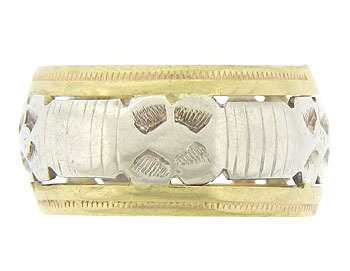 Yellow gold bands etched with a simple zig-zag pattern, frame the white gold floral cutwork. 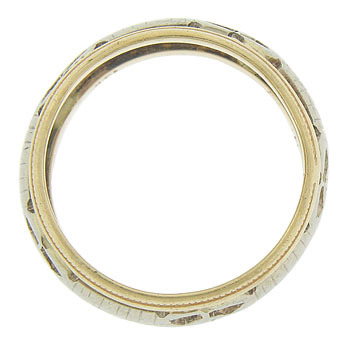 The antique wedding ring measures 9.61 mm in width. Circa: 1910. Size 5 3/4. We cannot re-size.